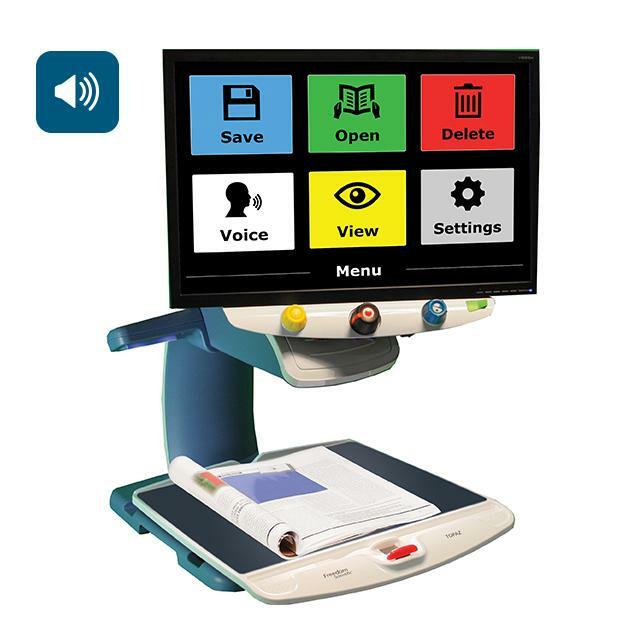 The TOPAZ OCR combines video magnification and text-to-speech features into a single desktop video magnifier. The high-definition camera produces a clear picture with sharp images and crisp text. The OCR camera displays a document on the touchscreen, and then TOPAZ processes, acquires, and reads aloud the document.